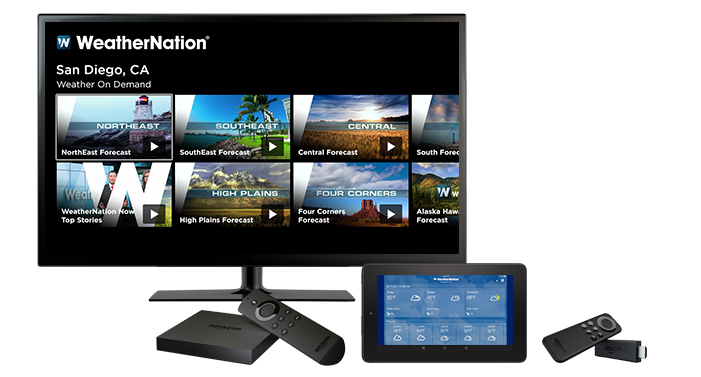 Get WeatherNation through many Android TV enabled devices like Sharp, Tivo, Sony Bravia and many more. 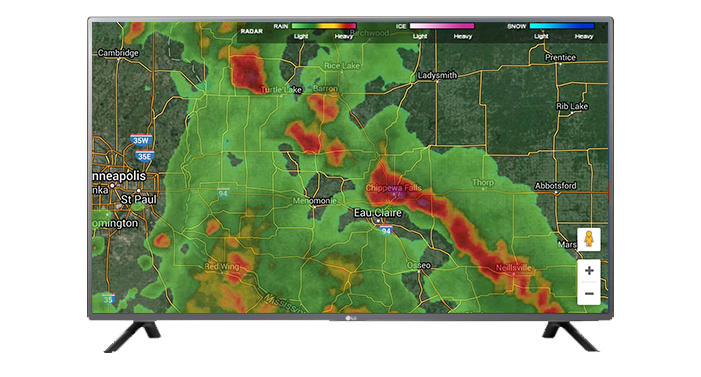 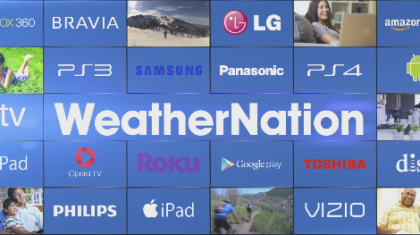 Get the latest and interact with WeatherNation on LG Smart TV’s. 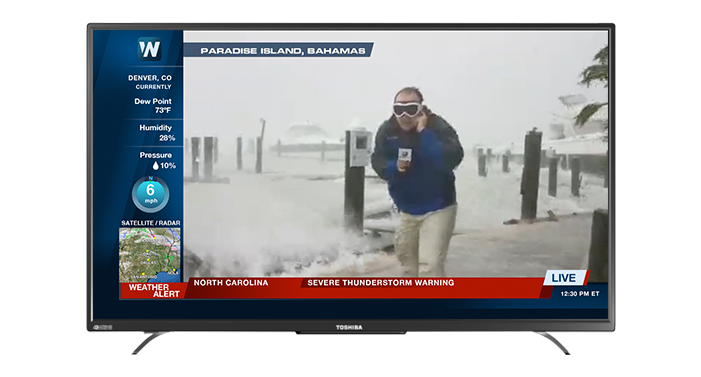 Available through Opera TV powered smart TV’s. 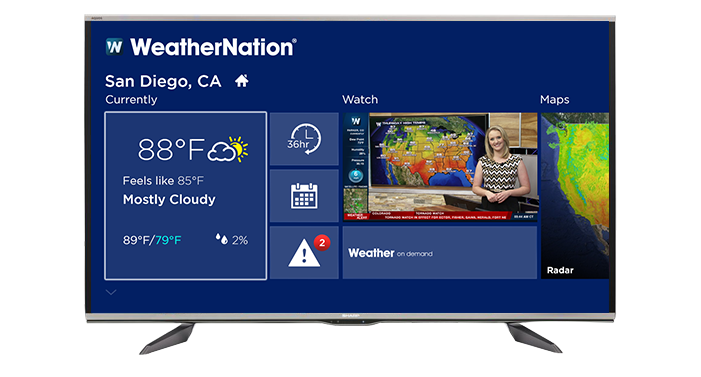 Get the latest and interact with WeatherNation on Panasonic Smart TV’s. 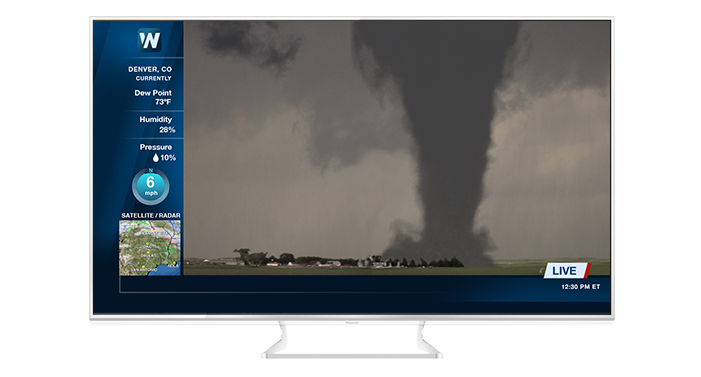 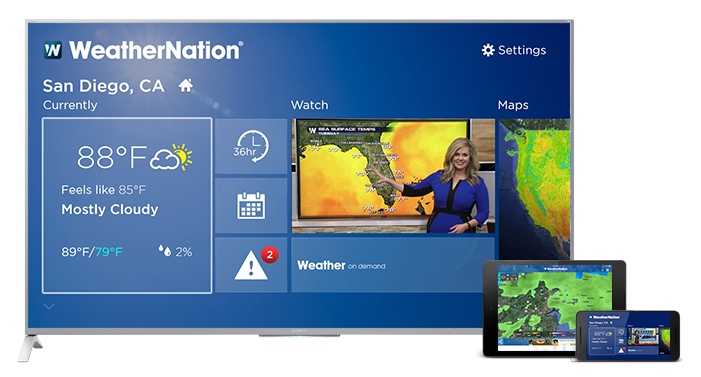 Get the latest and interact with WeatherNation on Philips Smart TV’s. 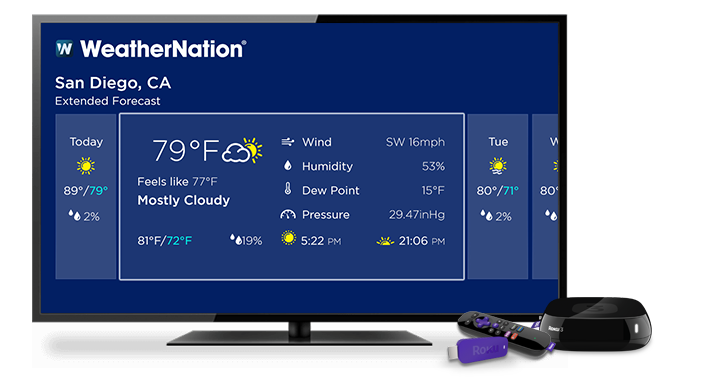 A certified ‘Top Free’ app on Roku. 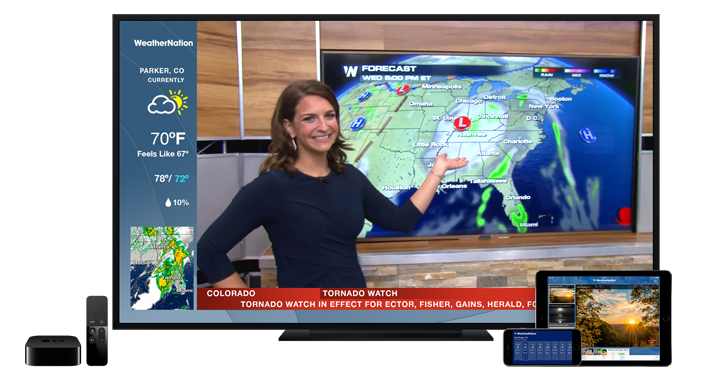 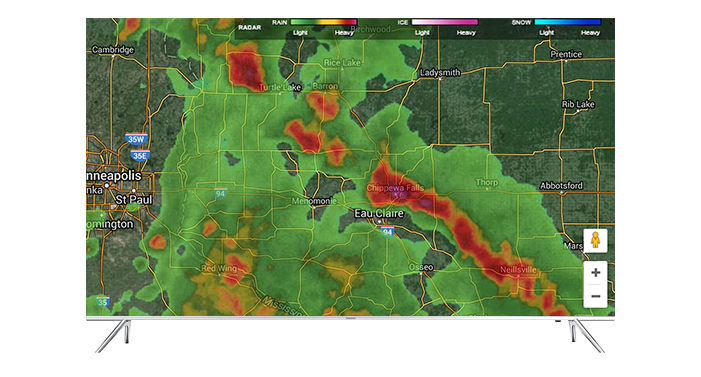 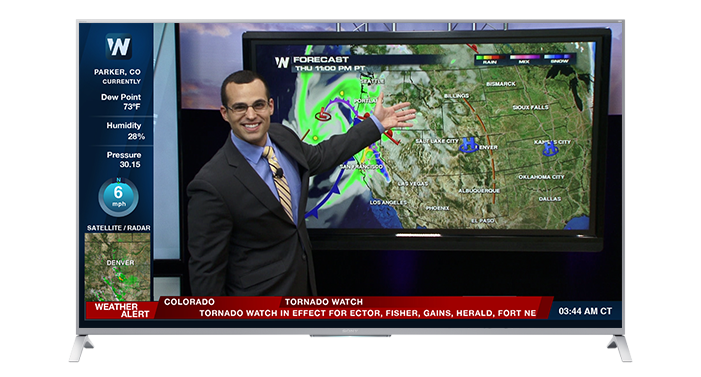 Get the latest and interact with WeatherNation on Sharp Smart TV’s. 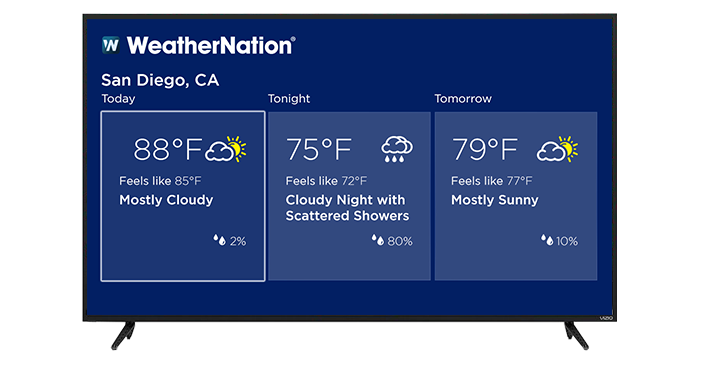 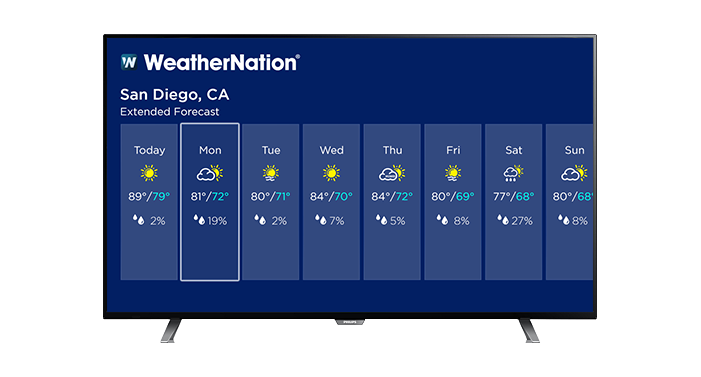 Get the latest and interact with WeatherNation on Sony Bravia Smart TV’s. 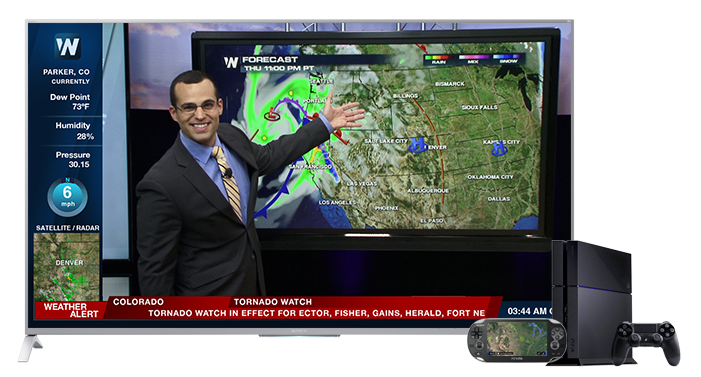 Get the latest and interact with WeatherNation on Toshiba Smart TV’s.